Walter Smith III - B Natural, Inc. Although it may appear Smith is a new voice on the scene, he is widely recognized as an adept performer, accomplished composer, and inspired educator. Smith released his critically acclaimed 5th album as a leader, “Twio” in February of 2018 with his longtime trio of Harish Raghavan and Eric Harland including guest appearances by Christian McBride and Joshua Redman. He followed that up with a November 2018 release of “IN COMMON”, Smith’s new co-led project with guitarist Matt Stevens. In the Jazz tradition, Smith has developed under the wings of many of the music’s greats. Walter is/has been a member of several legendary groups (recording and/or touring) including the Roy Haynes Fountain of Youth Band, Terence Blanchard Quintet, Eric Harland’s “Voyager”, Jason Moran’s In My Mind:Monk at Town Hall, Ambrose Akinmusire Quintet, the Christian McBride “Situation”, Christian Scott group, Bill Stewart Trio and the Sean Jones Quintet to name a few. Smith has performed all over the world participating in virtually every international festival as well as famed venues such as Carnegie Hall, the Village Vanguard, and the Kennedy Center. In addition, he has shared the stage and/or appeared on recordings with many Jazz notables including Mulgrew Miller, Eric Reed, Billy Childs, Joe Lovano, Herbie Hancock, Dee Dee Bridgewater, Terri Lynne Carrington, Bill Stewart, Ralph Peterson, and a host of others. To date, Walter has appeared on over 100 recordings that are released worldwide. 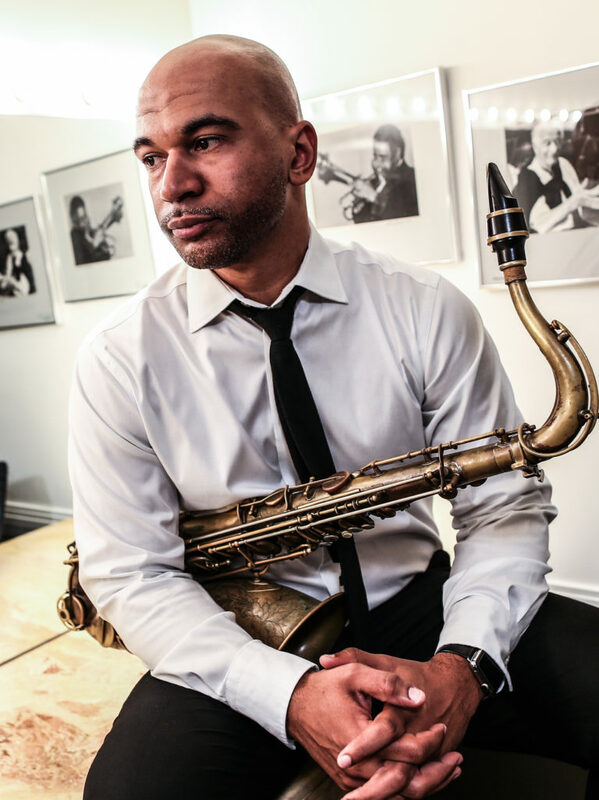 Originally from Houston, TX, Smith now resides in Boston, MA and serves as Chair of Woodwinds at Berklee College of Music working to prepare the next generation of creative musicians.